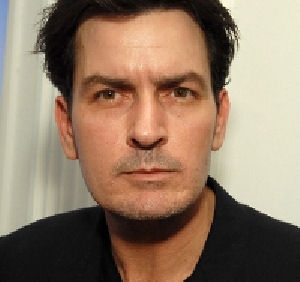 Meet Charlie Sheen, portrait of an addict in a tailspin. In the sitcom Two and a Half Men, Sheen rode high in the ratings as a parody of himself: a womanizing over-indulgent middle aged bachelor. Drawing big laughs, delivering lines spiked with sarcasm, Sheen has been part of a winning formula that has made Two and a Half Men #1 since its conception. Exit the character, enter the addict. With a history of parties, drug abuse, alcohol abuse, physical abuse and battery it is no surprise that Charlie Sheen has finally run completely off the rails. Although some of us stand and watch the train wreck with humorous fascination waiting to see what he will do next, some understand that this joke has no punchline.. In the spring of last year I was given a rude awakening. My son, whom was clean cut, physically fit and appeared well adjusted, was actually hiding a dark secret. Unknown to me or my wife. our son was also off the rails and screaming toward a collision course with the end. Up until this time he was drinking a 40 Pounder of hard alcohol a night. Between this he was doing cocaine, smoking lots of pot and burning his way through money he didn’t have. He was living a double life. We thought he was employed where he was not, where in he was selling EI Checks to money lending Institutions before they even arrived in his mail box. I would later find out that he’d wander into these places wasted out of his mind and they’d sign him up; a regular practice of these bottom feeding loan sharks. Our awakening finally came about when he stole over $500.00 from a larger amount we had saved to cover an income tax shortfall. When I confronted him (I use the next term loosely) at a friends house. He denied it of course. Tried to throw his brother under the bus and he reeked of dope. He didn’t return home. I met him on the street a few days later and we talked in a parking lot. There he confessed to the theft, but convincingly told me he intended to return it before I noticed. Tears ran down his cheeks as he lied right to my face and still I believed him, denying what should have been blatantly obvious. He returned home two days later, but four days after that he disappeared again. I went out looking and found him among a group of young men smoking pot. He came back to the house, spun out more lies, and showed me a forged letter he claimed was a rejection from a career course he had applied for six months before. I wasn’t buying it, words turned into angry accusations and then it got violent. My wife managed to break it up and my son left the house again. As the car peeled out of the driveway I thought, “My God I’ve lost him.” I can’t express to you how horrible that was, how helpless it made me feel. I couldn’t eat, sleep, or concentrate. Finally a week and a half later I made the decision to try once more. I pulled into a house I knew he’d be at, met a kid in the driveway and asked him to go get him. When he came out he was wasted, his eyes bloodshot, stinking of dope, cigarettes and booze. He was a mess, he smelled from not showering and he looked hungry. In a very passionate and frank conversation I told my son that if it was his intent to kill himself I did not want to live any longer. He sat and listened as I poured out my heart, tears were aplenty and finally he agreed to go to the hospital. We spent the next five hours weaving through medical system until it was almost midnight. There I listened in shock as my son recounted his drug use, his alcohol abuse, his cigarette habit and worse his intent to kill himself when the last of the money ran out. I was interviewed by the hospital staff and the only thing I could say to them was. “I want to save my son. Please, I don’t want to lose him. Help me save him. Please.” They admitted him to detox and I left him there at least knowing that he wasn’t in a house of drug users. At least for tonight he’d be safe. This was the beginning of the journey. There would be bumps and conflict, deceit and relapse, but this was where it all began. So when I see Charlie Sheen’s antics and the amusement the public expresses I can only think how Mr. and Mrs Martin Sheen must feel as they watch their son spiral downward. They are helpless victims to this horrible addiction, certainly I can identify with their anguish as may some of you..
Not everyone will face this issue in their lifetime, nor will everyone understand. There is much more to this story and I’ve yet to decide if I will share the rest, but for now let me introduce myself. My name is Mark and my son is a recovering addict.